Upon arrival in Florence a driver will meet you at the station or airport and transfer you to your city center hotel. After check-in at your hotel, visit the outdoor street market located at Piazza San Lorenzo that is know for their leather products. This is the most popular of the street markets in Florence. 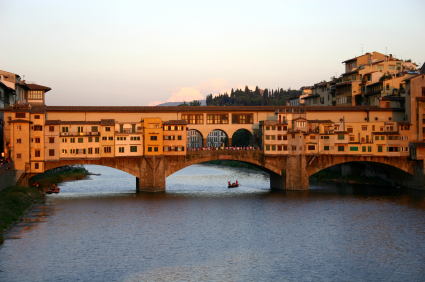 You will also want to visit the Ponte Vecchio, the special artisan gold jewelry shops that Florence is know for. You will enjoy two of the most important museums in Florence. Begin the morning with a visit to the Academia to explore some wonderful examples of Italian art, including Michelangelo’s “David”. This afternoon with a local guide you will delve into the Renaissance at the Uffizi Gallery. From Florence we head to Tuscany for a tour and tastings in the Chianti region. Chianti provides the perfect introduction to the flavours of Tuscany. We will take time to indulge in all pleasures that make Tuscany with special wine tastings and a knowledgeable wine expert to help us understand the Chianti wines. You will also explore some of the vineyards that produce some of the best wines with blends of Sangiovese, Canaiolo and different varieties of red grapes blends. 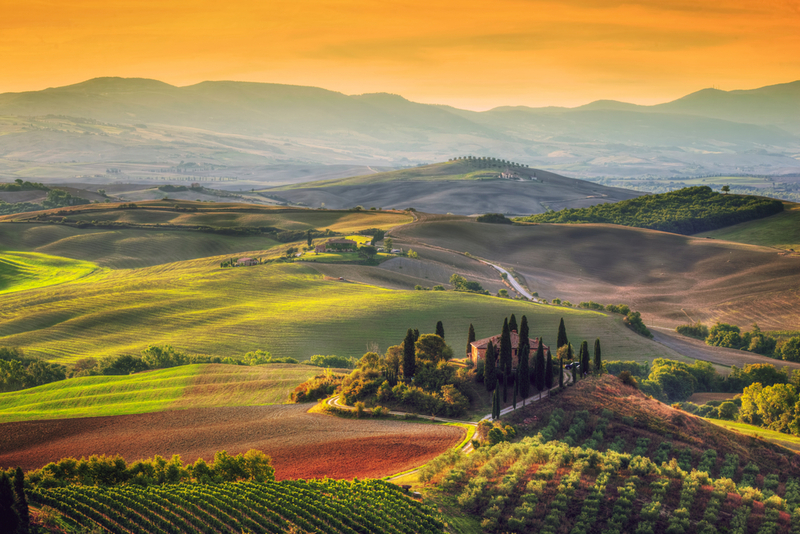 If wine were not enough, you will also experience olive oil tasting and of course the spectacular views that Tuscany offers. Private touring in Tuscany, your driver / guide will take you to discover the Brunello wine region & the enchanting hill town of Montalcino. Along your route, enjoy a journey off-the-beaten-track to the beautiful Orcia Valley that offers some of the best scenery in Tuscany. Visit one of the top wine estates in the area like the Piombaia, where you enjoy the visit of the wine cellar followed by a tasting of their best wines. Next you are invited to a lunch accompanied by a selection of wines produced by this estate. 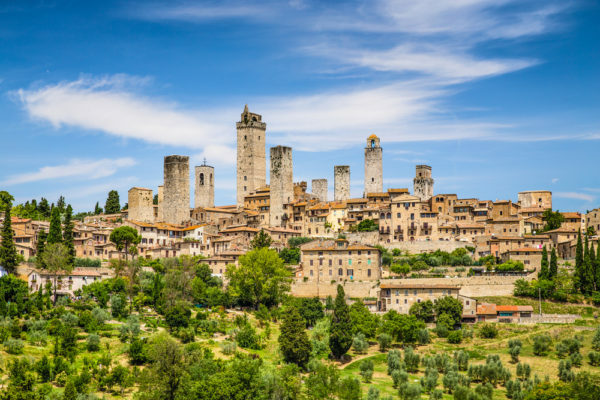 This afternoon we’ll then make our way to the famous medieval town of Montalcino with beautiful views of the Val D’Orcia with a stop at the magnificent Sant’Antimo Abbey dating back to the 9th century. Our day ends with one last wine tour at one of Brunello’s prestigious wine producers, Poggio Antico allows you a visit of the wine cellar along with a full wine tasting of their selected wines. Today’s final tour will be to the Sassicaia wine tour today with local driver /guides. You’ll enjoy an insider’s view to a region that tourists might miss. A special day in the rolling hills of Bolgheri tasting some amazing high end Italian wines. The region boasts enchanting hilltop villages, Etruscan remains, and famous Tuscan wines of Susicia, Ornellaia and Masseto estates. Some of the wineries in this area are very exclusive and open to the public only by appointment.We will can make appointments with prestigious wineries, such as Ornellaia, Guado di tasso, San Guido based on your interest. Your driver will meet you in the lobby and transfer you to the Florence Airport for your flight to Lyon. Upon arrival your driver/guide will meet you to transfer you to Vienne. the remainder of the day is on your own to discover the Gallo Roman city of Vienne. Dinner this evening is at a local Michelin Star restaurant. Starting in Tain l’Hermitage this morning and making your way back to Vienne, you will begin discovering the amazing wines in the Northern Rhone. You will take time to discover Hermitage, Condrieu, Saint Joseoph, Crozes-Hermitage and Côte Rôtie while in the area and begin to understand this area with its steep terraced vineyards. Of course we will make a stop for chocolate at the famous Valrhona chocolate shop, since wine always goes well with a bit of chocolate. Transfer to Beaune at the end of the day. As an option we could arrange a market tour and cooking class. Begin the day with a hotel pickup by your wine guide and then depart for and extraordinary day in the Côte de Beaune. 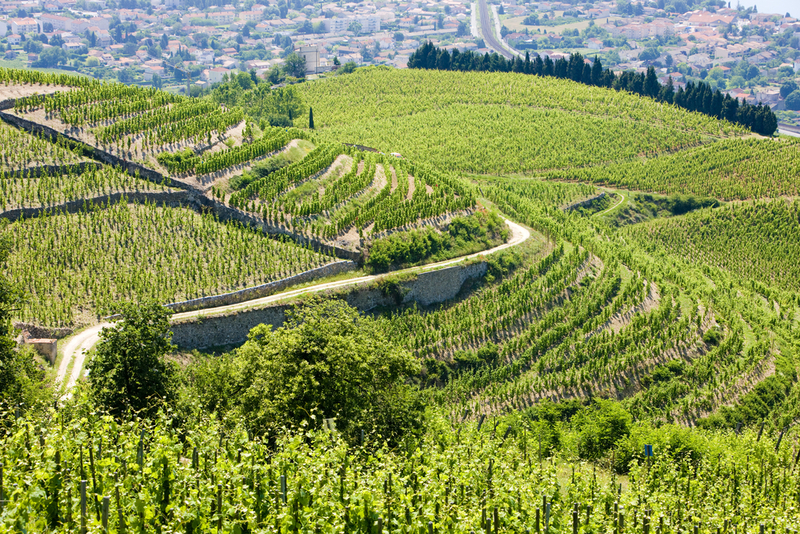 See the finest vineyards and villages and discover the intensity of the white Grand Crus that are so prominent here. 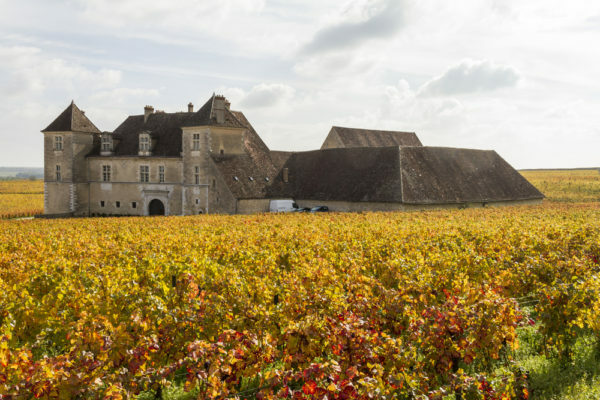 Visit top estates in Chassagne-Montrachet, Puligny-Montrachet and Meursault. Lunch today is at a gastronomic restaurant with your guide. Your expert wine guide will meet you this morning for an arranged full day wine tour. Throughout the day you will discover some of the fundamentals of the grape varieties and geographical influences as you learn about the wines from the region. Enjoy beautiful views over the Côte de Nuits and visit Clos de Vougeot. 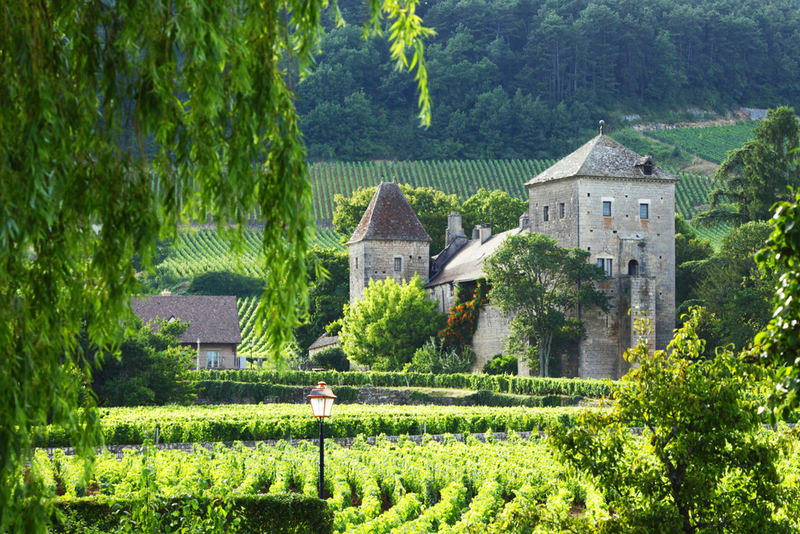 This amazing 12th century Cistercian Abbey is a jewel in the Burgundy vineyards. 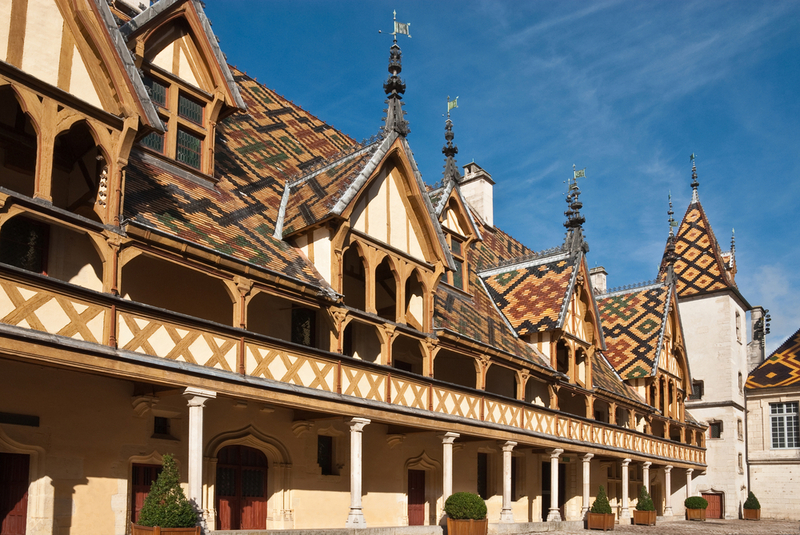 Evening on your own to explore Beaune and dine in one of its many fine restaurants. Transfer this morning to Lyon where you will have the remainder of the day on your own to explore the gastronomic capital of France. Departing today, we will arrange your transfer to Lyon Exupery Airport. Our private tours can be customized to include different wineries and activities based on your interests.